Don Briel, director and founder of the Center for Catholic Studies, will retire on Aug. 31. The announcement comes amid an internal investigation into whether Briel or others at the university knew that an archdiocesan board had recommended that the Rev. Michael Keating, a professor of Catholic Studies, not mentor young adults. 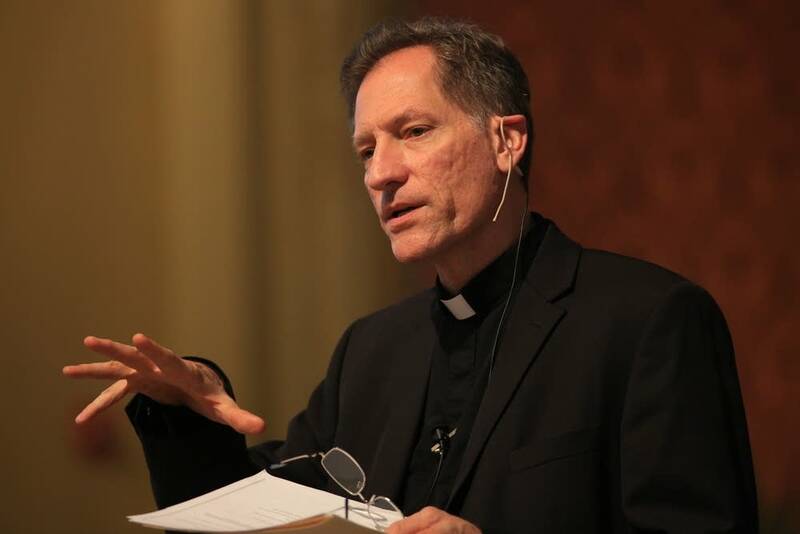 Briel has worked for the university for 33 years and founded the Center for Catholic Studies in 1996. In a statement released this week, University president Julie Sullivan called Briel an academic entrepreneur and praised his leadership in the development of the Catholic Studies program. "I greatly appreciate Dr. Briel's dedication and contributions, throughout his many years of distinguished service, to the success of the program and the center, which will continue to serve important roles in the development of Catholic higher education worldwide." Reached by telephone on Wednesday night, Briel, 67, called his retirement a "private decision that I'm not inclined to talk about." In an email to MPR News on Thursday, he wrote, "I'm not inclined to speak about it in depth for a number of reasons. However in general I think it not a good idea for someone to lead a project for over twenty one years and it seems a good moment to explore new options for the future." Doug Hennes, vice president for university and government relations, would not comment on whether Briel's retirement was related to the Keating matter because he said the internal investigation hasn't ended. He said Keating remains on leave. The University of St. Thomas has close ties to the Archdiocese of St. Paul and Minneapolis, though it operates independently. In October, the clergy abuse scandal spread to the Catholic university when a woman filed a lawsuit against Keating and MPR News published documents that showed top archdiocese deputy Rev. Kevin McDonough planned to inform Briel of its findings in 2008. Keating went on leave Oct. 11 and was sued three days later. McDonough resigned from the university's board of trustees on Oct. 4, followed by the resignation of board president and former archbishop Harry Flynn on Oct. 17. Sullivan, the university's president, hired a private law firm to investigate the university's knowledge of the Keating claims. The abuse allegations against Keating surfaced in 2006, when the parents of a woman who claimed Keating sexually abused her as a teenager in the 1990s told the archdiocese and the Chisago County Sheriff's Office. The sheriff's office found insufficient evidence to file charges. Keating's attorney has called the abuse allegations "false and highly defamatory." The archdiocese's clergy review board also investigated and concluded in November 2007 that there was insufficient evidence of child sexual abuse. Nonetheless, it recommended to Flynn that Keating not be allowed to mentor teenagers and young adults. It also said, "The recommendation is to be shared with the appropriate supervisors of the priest to permit appropriate levels of monitoring and compliance with it." The document does not name the supervisors. McDonough, who was the vicar general at the time, told Flynn in a March 13, 2008 memo that he would inform Briel of the conclusion of the Keating investigation. "To the extent that others in the university have to be notified, we should see to that as well," McDonough wrote. Keating's teaching of young adults at the University of St. Thomas indicates that the board's recommendation was not followed. It's unclear if university officials knew of the recommendation and disregarded it. Reached in October, Briel declined to say whether he knew of it.